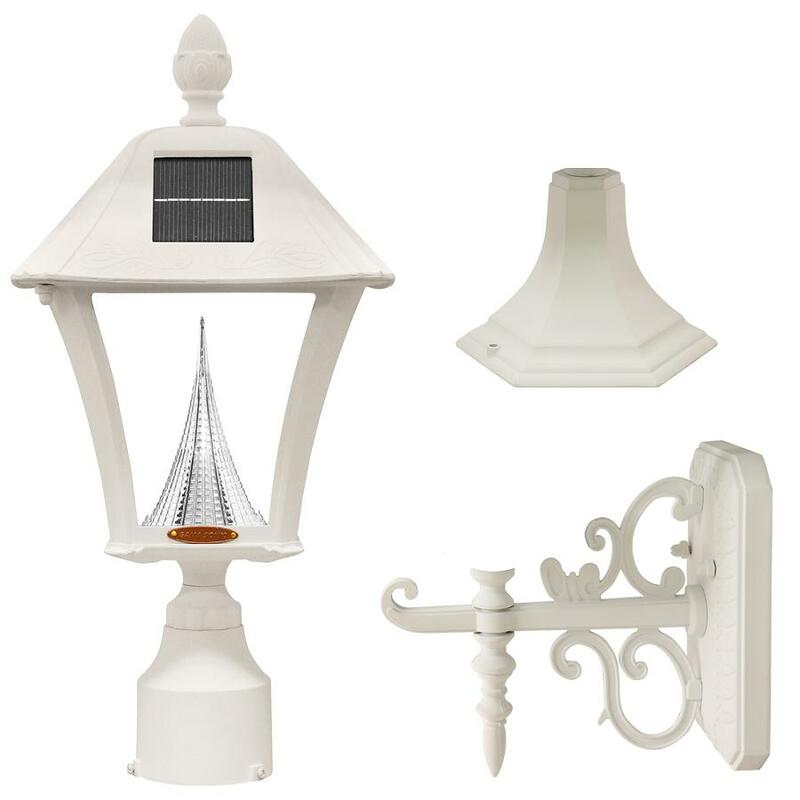 This Baytown solar light is supplied with 3 different mounting options and has super-bright LED's which uses a special patented cone reflector to make the light brighter. 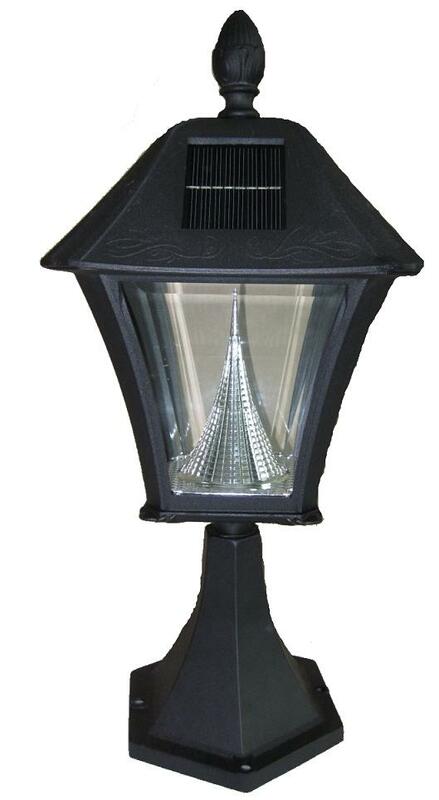 The 3" mounting bracket can replace your old outdated gas or electric lamp post light. 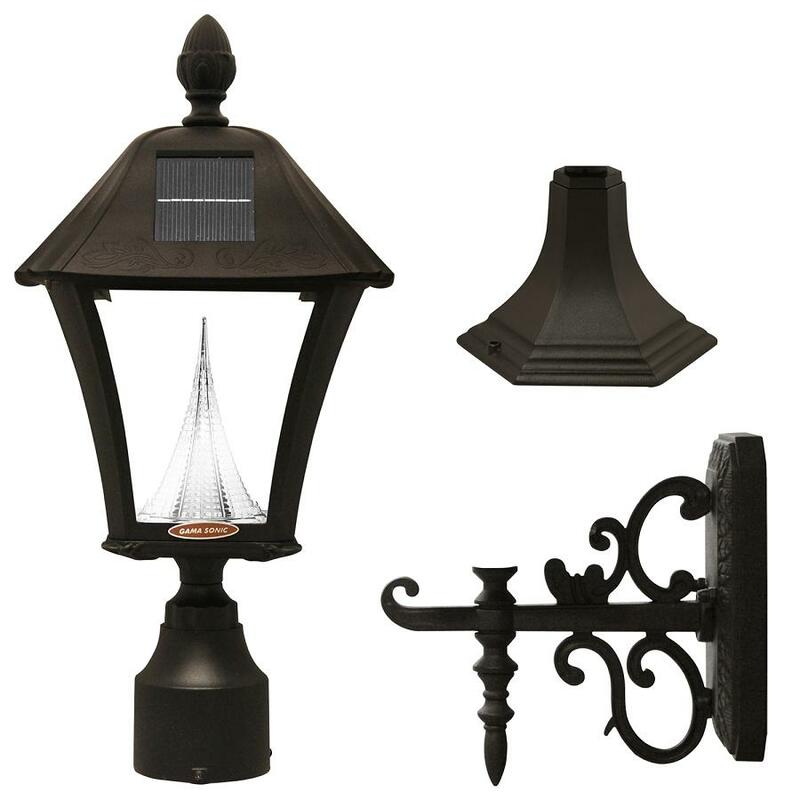 With the 6" base backet you can add to your home pillar or deck or use the wall mount bracket to add light to your entryway. 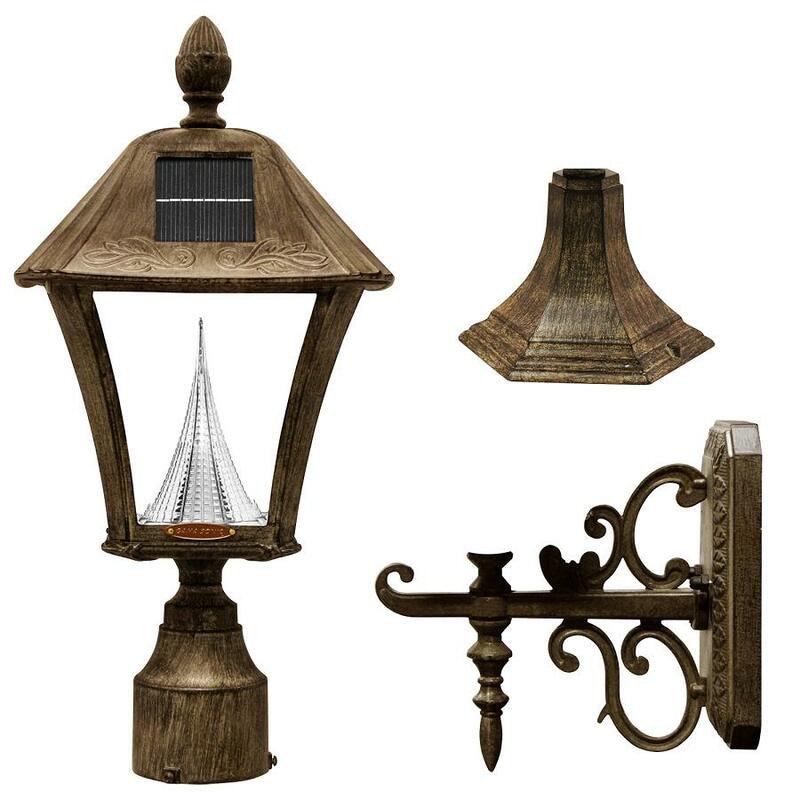 The gas-light design solar light is classic and will add an elegant appeal to your deck, patio and home. Easy to install and no wiring needed, just place in a sunny location and let the sun do the rest. Made of powder-coated cast-aluminum and requires no maintenance and is equipped with a built in sensor to automatically turn on at night providing up 10 hours of illumination. Available colors: Black, White or Weathered Bronze finish.